This! This is one of the coolest sedges for winter displays. It virtually glows in yellow/chartreuse and spreads to form large patches. Adaptable to both full sun (with water) to dense shade. it holds its gold coloring in shade but is more conspicuous in the cold months. In summer it turns lime green and can be site where it fades into the background. In early spring 1′ chartreuse stems display excellently contrasting warm, metallic brown flowers- they are quite showy and come in great quantity. Excellent in rich to average soil with regular summer water. Full sun (but not reflected heat) to dense shade. Very adaptable to dry shade conditions. 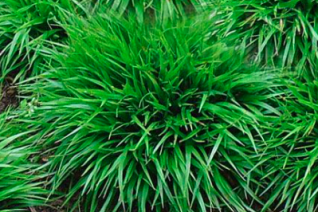 We love this evergreen workhorse of a sedge that virtually glows. Great en masse or as a simple single glowing patch. 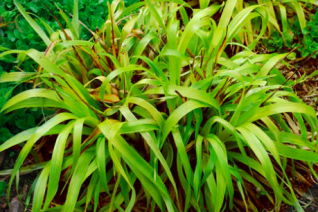 This species of woodland sedge is native to Europe. Excellent plant. 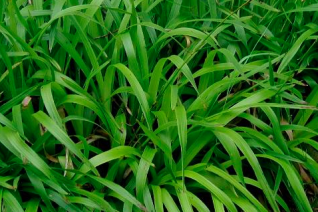 This is the most common form of this tough and good looking woodland sedge. The wide curving leaves are finely lined in yellow on the margins. It give this useful plant extra dimension. To 18″ across and forming multiple rosettes. In spring 1′ spikes carrying showy tan flowers create a haze. Rich to average well drained soil with consistent summer moisture. Full sun (with regular summer water) to quite dense shade. Useful evergreen for winter containers. Excellent winter appearance. Long lived, easy to grow. Takes very dry shade when established. Sylvatica- of the woodland and this woodland evergreen workhorse of a sedge is both easy to grow and always good looking. Forms bold rosettes of 1/2 wide deep green stems to about 2′ across. In early spring 1′ spikes hold metallic tan flowers. Very pretty. Full sun to dense shade in rich to average well drained soil with light summer water. More water will be needed the more sun it gets to remain deep green. Easy to grow and excellent massed for a uniform if somewhat wild look. Remove spent flower spikes to prevent seeding which will occur in open disturbed sites that you irrigate. These seedlings are easy to spot and move and it never becomes a pest. Long lived. Adaptable to very dry conditions in shade. Snowy woodrush is a great woodlander and has many seasons of interest. The thin arching blades on this clump forming plant are softly veiled in white hairs that gives a softness to the clump. To 10″ tall and as wide in a season. 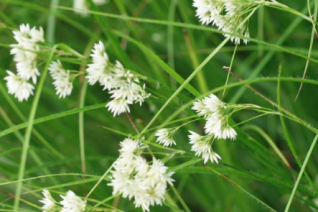 In late summer 2′ tall spikes appear and produce snowy white flowers. They sway in the breeze. A mass planting of this in bloom is magical. Rich, moisture retentive soil that drains in part shade to shade. Takes sun with regular water but nothing hot. Excellent long lived perennial. Can self sow when very happy. The hairy seedlings are easy to spot and move- or give away. 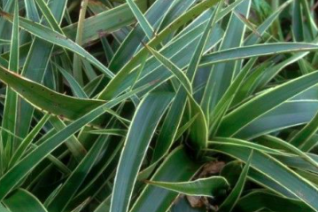 We’ve been impressed with this evergreen, ever lovely, ever symmetrical sedge from Europe. Tightly clumping deep green plant to 6″ tall x 11″ wide in time. Rich, moist, well drained soil is ideal. Protect from blasting sun and reflected heat. Excellent performance in woodlands, sunny, irrigated borders. Imparts both a natural look but its habit is so symmetrically round that it also gives a modern feel. May be massed for a profound soft effect. Regular summer water- especially during heatwaves. Excellent performance in containers. Easy to grow. Evergreen- but it can look a little burned if we have extreme cold- not to worry new growth quickly hides any tatty leaves in spring. Avoid dense, dry shade, dappled overhead shade is ideal. Deep green appearance year round.